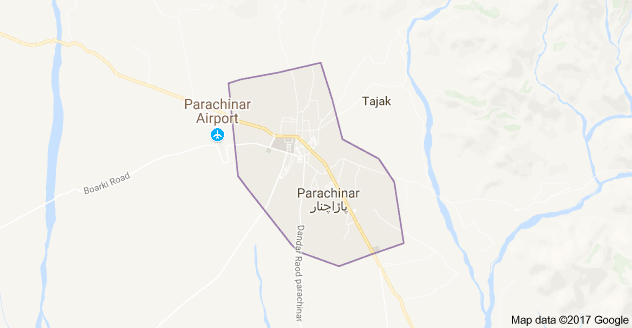 PARACHINAR: The relatives of Parachinar have put forth the demand that Chief of Army Staff, Interior Minister Chaudhry Nisar and other high-level officials should visit the area. The have continued the sit-in on the sixth day. Turi Bazaar was closed down since the terrorist attack. The tribal leaders of the community said that the Bangash tribe is being targeted by terrorists. The tribal leaders said that unlike the other areas, the injured were given only Rs 0.1 million rupees while the relatives of those martyred are given only Rs0.3 million. Until the approval of demands, the protest would continue, added the protesting members of the community. At least 72 people were martyred and over 300 injured after two subsequent blasts rocked a densely populated area of Parachinar in Kurram Agency on Friday evening. The bombings occurred as people were busy shopping for Iftar and Eid in the Turi Bazaar area, close to a crowded bus terminal in Parachinar. The second blast took place as people rushed to provide aid and rescue the wounded from the first explosion. So after a lapse of 6 days, the electronic & print media has got permission from their spiritual masters for limited reporting on the event; no words are enough to explain this inhuman toxified response of Al-Bakistanies!! !